I’m not a technophobe. Hardly. I design and run my own website. I diagnose PC problems remotely, barking out step-by-step commands from memory. I learn involved software programs in just a couple hours of fiddling around. But I don’t text. Now I know what you are thinking. I must also hunt my own food with a spear and constantly yearn for a future that includes fire not solely sparked by lightning strikes. But see, I have a wee problem that prevents efficient texting. 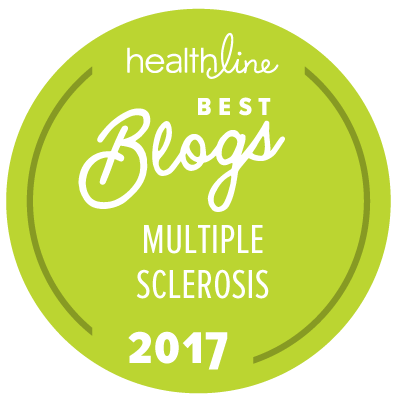 It’s a disease called multiple sclerosis and one of my personal issues—indeed one of many—happens to be numb and clumsy hands. So for those friends who insist on not answering the phone when I call, and won’t call me back even though my phone number clearly shows that I called (don’t worry, I rarely leave a message, since that would be especially annoying), I invite you to spend an hour in my klutzy fingered world. Put on a pair of ski gloves. I won’t be cruel and make you wear mittens (for me it’s usually not that bad), but find a modestly thick pair with a bit of insulation. Now let’s have some fun! What’s that noise? Why, it’s your alarm going off in the morning. Just hit that tiny button to turn it off. No, not that button. Whoops, no that one’s the radio. Don’t hit the snooze, it’ll just go off again in 8 minutes. Okay, unplugging it works. Yawn. What’s next? Fumbling with soap in the shower is a pain, shaving might slice an artery, and let’s not even try to adjust the temperature just right in the shower since you can’t really feel that either (plus your gloves aren’t Gore-Tex), so let’s skip getting clean. Brushing your teeth is only a wee bit awkward since you dropped the tiny toothpaste cap in the sink and not on the floor. And fortunately since I’m a dude, I won’t make you put on all your makeup or fix your hair with gloves on—after all, messy is in these days. Let’s just throw on some clothes and get dressed. Hmm. Buttoning a shirt with a pair of gloves is hard, huh? Fine, despite it being in the 90s, today can be a sweater day just for you. But you have to wear a pair of pants and they have a button and a zipper. Don’t worry, I’ll wait…. Wow, I’m glad this isn’t a timed Olympic event…. Done? Perfect! Now you have to go the bathroom. Sorry, that means unbuttoning and unzipping. And yeah, you gotta go #2. And yeah, you have to keep your gloves on while you wipe. Um, and yeah, I don’t need those gloves back. Really, you can have them. Let’s call it an early b-day present. Ready for breakfast? Oh wait, you still need to button and zip your pants. Looks like you’ll be running a bit late for work today. Again. Sigh. 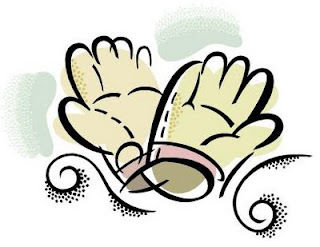 No matter, it’s time for your morning rant where you blame manufacturers instead of your gloves. Why do box tops of cereal NEVER work right? Why are cartons of milk IMPOSSIBLE to open? Why are vitamins so TINY? Why is the foil on yogurt SO hard to take off? And why can’t scientists genetically engineer an orange so you can ACTUALLY peel it? And speaking of oranges, you are out of orange juice, so put that on your grocery list. I know, I know, it’s hard to pick up a pen with your gloves on. Writing is even harder so abbreviations are fine. Um, that doesn’t look like “OJ” but I know what you mean. Times a tickin’! Grab some change for the soda machine and let’s cruise. No, no, not all of your change, just a few coins. Nope, not enough. Nope, too much. Ah heck, let’s skip the Diet Coke today. Oh, and I always lock the house when I leave. No, that’s my car key. No, that’s the mail key. Nope, that’s for the storage shed. That’s my grocery store frequent shopper card. Uh, that’s a key for a doggy door. No, I have no idea why I keep that on my key ring. Yes, I know I don’t even own a dog nor have a doggy door, much less one that locks. (I really need to trim the number of keys on my key ring.) Aha, you found it: the house key! Finally we are moments away from being off. Just slip the car key into the ignition. No, that’s the house key…. The mail key…. The house key again…. Finally, to finish off your hour, send me a detailed text message (not while driving) apologizing for not understanding my disability and saying that despite your personal quest to not talk on the phone unless absolutely necessary—you will make a rare exception in my case when I call. After you spend a frustrating 15 minutes composing a message that would have taken 15 seconds to relay verbally, hit send and take off your gloves. And forever remember that I can never remove mine. Unfortunately, having a chronic disease like multiple sclerosis—a disease that continues to be defined as incurable—makes us more susceptible to charlatans and snake oil. We desperately want better answers … and that makes us, to put it bluntly, gullible. Case in point, there recently was a sad story of a woman who was told by a “doctor” that she didn't have MS (it must instead be Lyme Disease)—and to change her treatment completely … and to take a baldness treatment, a drug for Alzheimer's, and shots of vitamins (B12). Her daughter, who was told by the same practitioner to soak in a hot tub while eating watermelon, eventually reported the man to authorities after thousands of dollars had been spent ($300 a visit can get pricey). The mother later died. Stories that end fatally are unusual—it’s more common that the story ends with you and your money separating while your disease progresses. I know what you are thinking. “Dave, I’m way too bright for this and there’s no way I’d fall for eating watermelon in a hot tub, or cantaloupe for that matter.” Here’s the problem. The allure of elixirs claiming to fix us is hard to resist because their supposed solutions have enough fact to sound plausible, indeed enough quasi-science to sound beneficial. And elixir companies are only too happy to exploit this, stopping at nothing to get to your wallet or billfold. For example, after ignoring phone calls and e-mails from an MS supplement/diet "business," I got an unsolicited check in the mail for $100 sent 2-day air "just to show you how easy it is to collect commissions from us" if I promote their special "MS course" on ActiveMSers (and in my e-newsletter). Of course I was asked to also plug their webinar, which incidentally will discuss the pros and cons of chronic cerebro-spinal venous insufficiency (CCSVI), a topic that’s a clever and guaranteed audience draw even though their treatment has nothing to do with CCSVI. It goes on to say "you can help your followers learn how to get rid of their MS symptoms"—like, he explains, fatigue, pain and tingling, and loss of balance and memory—and "generate income to help your business." Wow, a miracle treatment that also makes me money. Hmm. This gentleman, and I use that term loosely, is either a fraud or a soon-to-be winner of the Nobel Prize in both medicine and business. On the internet there are gatekeepers, and I am proud to be one. I never responded. But for every website like mine, there is another that will cash that check, make extra money, all at your expense. So when you read effusive praise about some supplement, diet, program, or procedure, beware. Then take a cold shower while eating a bowl full of pomegranate seeds sprinkled with cinnamon. The cool water will help restore nerve conductivity, the continuous stream will activate the critical stimuli responsible for the neuro-reconnection between your axons and spinal column, all while the antioxidant properties of the pomegranate, used by ancient Egyptians, will act as a powerful immunomodulator. Its effects are magnified when combined with the anti-inflammatory properties of cinnamon, which currently is being studied by the NIH for its ability to counteract and inhibit the glial activation that causes brain cell death. The simultaneous fusion of all three has the proven potential to improve symptoms and reverse MS.
Or just take a cold shower and chill out. And for gosh sakes, don’t buy that bridge.